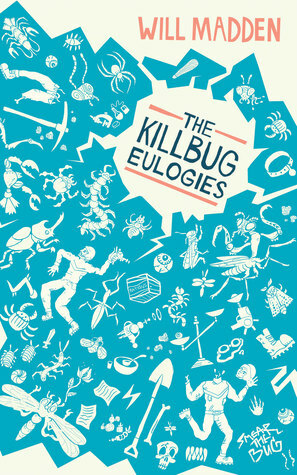 The Killbug Eulogies is being released on June 12, so now I have advance reading copies on hand to give away. Here’s Thorby the Thorbeetle standing guard over them. I might be biased, but they look pretty great, especially with the hand-lettered titles on the spine. I wanna to line whole shelves with them until my apartment looks like a showroom for goofy kids’ furniture at IKEA. Giveaway ends April 02, 2017. But first I’ll have to sneak the copies away from Thorby. He’ll be angry, but he’ll get over it. Kevin was called “a smartly written novelette with a unique plot” by a nice reviewer who has probably read a bajillion books about vampires. Look, I don’t know what my mother does. (Nothing rabbit-related, I bet!) But I do know what I do–which is describe what I do in succinct lemon-yellow sentence fragments! And crochet purple beetles. Don’t judge.